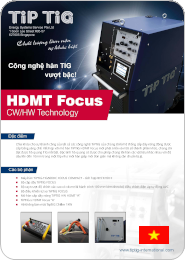 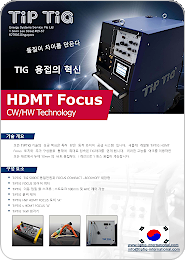 • Powered by TIG 500 DC Focus Compact • TiP TiG HW HDMT FOCUS Torch "A"
• TiP TiG FOCUS Wire Feeder • TiP TiG HDMT Focus "A"
The Key for Success of all TiP TiG Technologies is the patented Dynamic Wire Feed System. 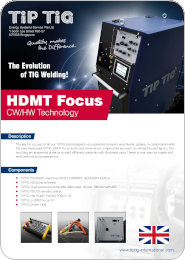 In combination with the TiP TiG HDMT Torch, a powerful focused arc is generated. 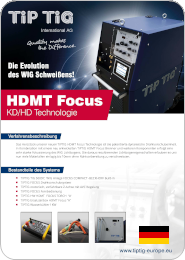  The arc proberties allow welding of different materials with thicknesses of up to 10mm in one layer without any weld preparations.